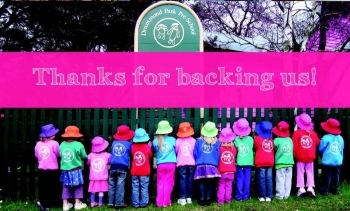 Drummond Park Pre-school is a community, not-for-profit, organisation. Donations of time or money are greatly appreciated and very welcome! Drummond Park Pre-school has a School Building Fund and all donations to this fund are tax deductible. Please contact us for more information about the ways in which you can help our little preschool to continue to shape big futures.